We care a lot less than wine connoisseurs about ingredient origins. But when in comes to hops, the varieties and the places they come from are just as—if not more—complex than wine grapes. You’re likely to stumble across noble hops even when you’re not looking for them. Hops have been cross-pollinated for centuries as farmers have sought the perfect hop, and noble hops are often a common ancestor. But what makes them so special? What are the varieties? How do you know you’re even getting the right kind? And just what kind of brews can you use them in? Those are all good questions—especially if you’re new to hop varieties—and they have some pretty fascinating answers. The royal title might be a bit misleading, but noble typically indicates one of four traditional hop varieties: Saaz, Tettnanger, Spalt, and Hallertauer Mittelfrüh. Because there’s no actual standard, other types are sometimes included, but those are the four you really want to remember. The phrase noble hops has only been around since the 1980s, so there’s no strong history or set agreement on which hop varieties belong in the noble category. But when you’re buying a noble hop, you’re essentially getting a variety that will give you a more classic European brew. Noble hops are prized for their smooth bitterness, complex aromatics, and spice. If you’re buying a batch of true noble hops—that is, from the region where the variety originated—you’ll probably be paying a pretty penny for the privilege. It helps to think about noble hops like prized wine. You can only get “real” Champagne from its namesake province in France, just like you want to get Tettnanger hops from Tettnang, Germany. That doesn’t mean there aren’t foreign varieties of noble hops—in fact, that’s what can make buying noble hops so complicated. We’re also not saying those foreign varieties are bad. They’re just not the hops you’re looking for. Noble hops may cost you a little more than regular hops. But just like drinking a high-quality champagne, you’ll find the premium results worth the extra expense. Saaz, Tettnanger, Spalt, and Hallertauer Mittelfrüh are the most cited noble hops, and the ones you’ll most likely see when they’re in season. Mittelfrüh is the outlier of the group. Genetic researchers have found evidence suggesting Saaz, Tettnanger, and Spalt hops likely share a common ancestor or were crossbred at some point, placing them in a single Saazer group. At least it would be the case if it weren’t for each hop’s different home region. Their acid and oil profiles are similar, but their aromas vary thanks to varied growing conditions and methods. The name of this noble hop comes from the German pronunciation of Žatec, the Czech city renowned for hop cultivation. Known for a genuine hoppiness, Saaz hops typically has a spicy, citrusy, and floral aroma. Specific scent notes may include tarragon, lavender, cedarwood, or even smoked bacon. It is also characterized by its red bine (if you’re familiar with growing hops, this is the technical term for the hop vine). Saaz is a frightfully delicate plant, and has been cloned nine times in an attempt to preserve the species thanks to its low viability and susceptibility to mildew. Other names: Czech Saaz, Saazer, and Czech Saazer. The city of Spalt has been cultivating hops since as far back as the late eighth century. But this little city in the Bavarian region of Germany didn’t start making international headway in hop production until the fourteenth century, following the possible crossbreeding of Spalt and Saaz hops. In 1538, it was the first hop to be granted the German hop seal, which is both a regional commitment and documentation of the variety. Like its Saaz cousin, Spalt hops are known for their hoppy aroma, as well as floral, herbal, and fruity notes. Spalt-hopped beers may have woody, peppery, and banana scents or flavors. Watch out! Despite their similar names, Spalt and Spalter Select are different varieties. If you’re planning to brew with Spalt hops, Spalter Select is not an adequate replacement. Other names: Spalter, Spalt Spalter, Spalter Spalt, and German Spalt. Grown worldwide, it’s the much hardier relative of Saaz and Spalt hops from a south German town near the Swiss border. Be especially careful when looking for this noble hop. Some versions labeled as Tettnanger are actually hybrids, mixed with Fuggle hops, and therefore not a true Tettnanger or noble hop. 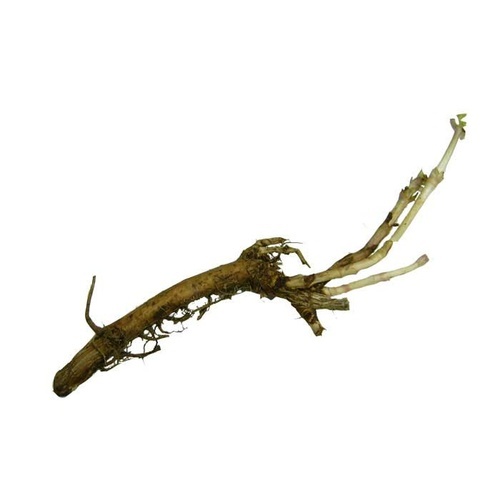 This noble hop variety has a softer spiciness with more balanced floral and herbal aromatics. The flavor is subtle, which makes it both a bittering and aromatic hop. Other names: Tettnang, Tettnang Tettnanger, German Tettnang, Tettnanger (GR), Schwetzinger, and Deutscher Frühhopfen. While the lineage of this hop is unclear—it may be distantly related to Saazer varieties, but is more genetically distinct—there is no question of its place among noble hops. The plant is likely descended from an old German landrace, or a traditional cultivation of a local wild breed. The traditional variety is particularly susceptible to a common wilt disease, so many growers are developing hybrid varieties to strengthen its resistance, which is something to watch out for if you want to try the classic Hallertauer Mittelfrüh. Hallertauer Mittelfrüh hops have a subtle floral and spicy aroma. Other names: Hallertau, Hallertauer, Mittelfrüh, Mittelfrüher, and Hallertau Mittelfrüh. What’s the Difference Between Noble Hops and Regular Hops? Compared to some, but not all, regular hop varieties, noble hops have a lower alpha acid content. This makes them the perfect hop to use when making an addition in the last five to fifteen minutes of your boil. Why? Well, alpha acids are the part of a hop that gives beer its bitterness, among other things. If you’re using finishing hops purely for aromatic and flavor purposes, you want a lower acid content to keep your brew from being too bitter. Noble hops also tend to have more essential oils, also called hop oils. They only make up about four percent of the cone, but these oils have a huge, if not fully understood, impact on your beer’s flavor. Research into the composition of hop oils and their effect in the brewing process is ongoing. If you’ve ever flipped through a hop catalog, you might have wondered what all those tables filled with chemical components mean. Wonder no more—or at least wonder less. The four main essential oils you’ll come across in hop profiles are myrcene, caryophyllene, humulene, and farnesene. Myrcene is a common component in American hop varieties. It’s known for adding citrus and pine scents to beer, although traditional brewers often avoid them due to a more pungent character. It’s a matter of taste. High-myrcene hops can still produce delicious beer. Advanced chemistry note: myrcene is a monoterpene, which means it has ten carbon units. This makes it more volatile and soluble than other hop oils. Regardless, it can still have a strong impact on your flavor. Humulene and caryophyllene and are often labeled with an H/C ratio. Noble hops tend to have higher humulene content, which means a stronger aromatic effect on your brew. For example, the three-to-one ratio indicates herbal and spicy notes. Farnesene is less understood than other hop oils, and its contents and effects on aromas vary from hop to hop. Saazer hops tend to have a higher concentration of farnesene, which may be a reason for their strong character. Most chemical analyses of hop oils are done prior to addition, so the effect of these oils during the fermentation process is still a mystery. What we do know is they make beer tastier. Like most other varieties, you can get noble hops online or in your local brew supply store. Your main concerns when buying noble hops are origin and date. Climate, altitude, farming practices, and soil composition have a significant effect on the character and development of a hop plant. When brewers first started adding hops to their wort, it was less about variety and more about availability. The actual selection of a particular variety of hop was likely random—someone just decided they liked the smell of this wild plant and bred it from there. Cross-pollination, brewability, pest resistance, and hardiness are other factors that continue to influence hop breeding today. 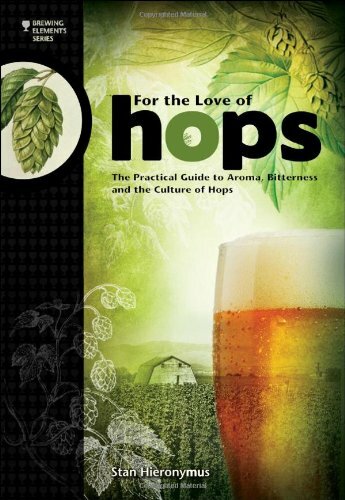 The development and protection of prized hop varieties has been a struggle since the beginning of hop cultivation. In fact, the exportation of Bohemian hops was so offensive to the Holy Roman Emperor Charles IV, he made sharing cuttings of the local varieties punishable by death. You won’t lose your head for taking a cutting off a noble hop plant today (as long as you ask for permission from the plant’s owner first), but know that the flavor begins to change the second you grow noble hops outside their home region. Your seller should at least be able to tell you the country of origin, if not the exact region. When buying noble hops, you’ll primarily be looking for Czech (Saaz) and German (Spalt, Tettnang, and Mittelfrüh) crops. Thanks to the higher content of volatile essential oils, air and light can be especially damaging to noble hops. At the same time, they generally don’t do very well in storage, especially when they’re fresh. The longer your hops are stored, the more alpha acid and essential oils they lose. This happens regardless of the hop’s processing. Whole hops—if you can get them—are best when kept at freezing temperatures. 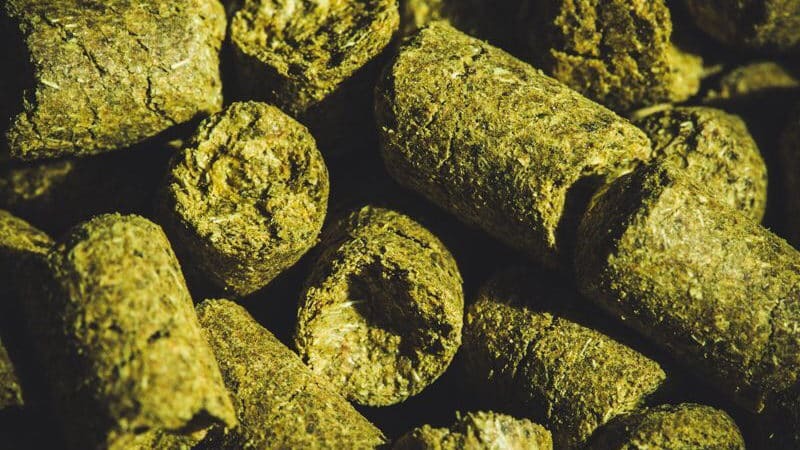 Even in those conditions, you’ll want to use them sooner rather than later because their alpha acids and hop oils deteriorate much more quickly than they do in pellets. While they have a longer shelf life, pellet hops last longer when kept sealed and refrigerated. If you live outside of Europe, you also have to worry about potential damage during transit. Hops pellets may be exposed to high temperatures while shipping and spoil before you even open the package. There’s not much you can do about this, but you can at least check your hops for any damage. 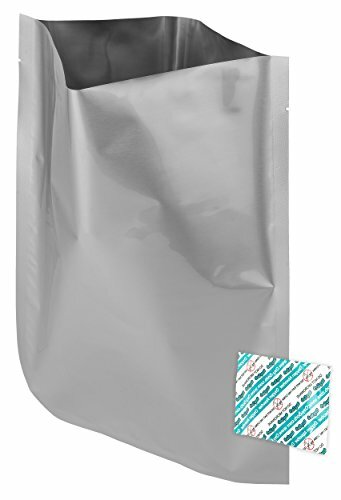 Swelling is a sure sign of spoilage, but it can be less obvious if the package has cooled. When the packages swell due to heat, the pellets are more likely to be exposed to oxygen, which may cause oxidation. If that happens, your pellets will have lower alpha acid content, as well as the potential to impart some not-so-great flavors into your beer. Do a quick check for pellets with clear signs of spoilage, and discard them. You may also want to smell the pellets and remove any with a cleaning chemical or excessively herbal smell. You’re welcome to experiment to your heart’s content if you have a nice stock of noble hops. But if you’re still trying to decide on what style of beer to brew, it’ll help to know which noble hops perform best for which brews. Bonus: Spalt hops are particularly exceptional if you’re dry hopping. The flavor profiles of noble hops are distinct, so we think it’s a good idea to give a more traditional recipe a shot. At the very least, you can try a European brew without having to buy an expensive plane ticket. We’re pretty sure you’ll agree that noble hops are well worth the splurge, especially if you can get your hands on fresh or whole hops. Re-creating a little bit of brewing history can be a fun pursuit, especially when the results are so delicious.